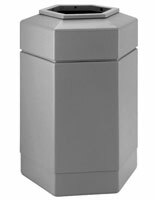 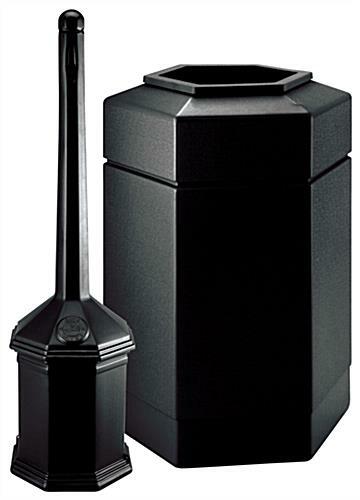 These hexagonal trash cans that are plastic waste containers with a convenient Site Saver® ashtray attached, keep litter to a minimum at a park site or in outdoor smoking areas. 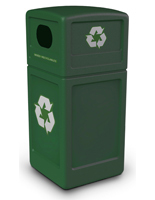 These recycling baskets are incredibly durable, yet inexpensive. 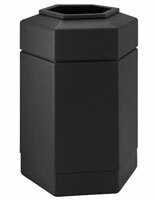 These trash cans that are waste containers are sturdy to withstand outdoor weather conditions. 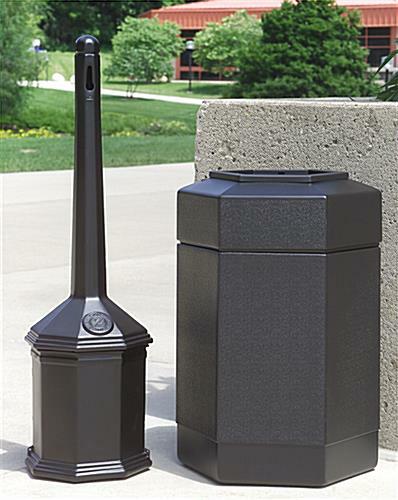 Waste receptacles, such as these outdoor rubbish bins, placed strategically around a property, keeps it litter- and fire-free, due to oxygen-restricting technology that extinguishes cigarettes on contact. 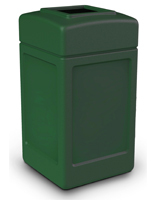 These neutral plastic baskets discourage littering, so your company's image remains "clean"! 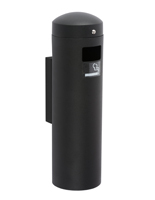 These trash cans, also known as waste containers, are outdoor recycling stations that work well for organizations that hire employees who make smoke outside during a lunch or snack break. 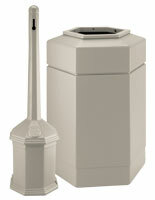 20.00" x 29.00" x 17.25"